Just 549 of NASA's 18,250 employees will be expected to work if the government shuts down. 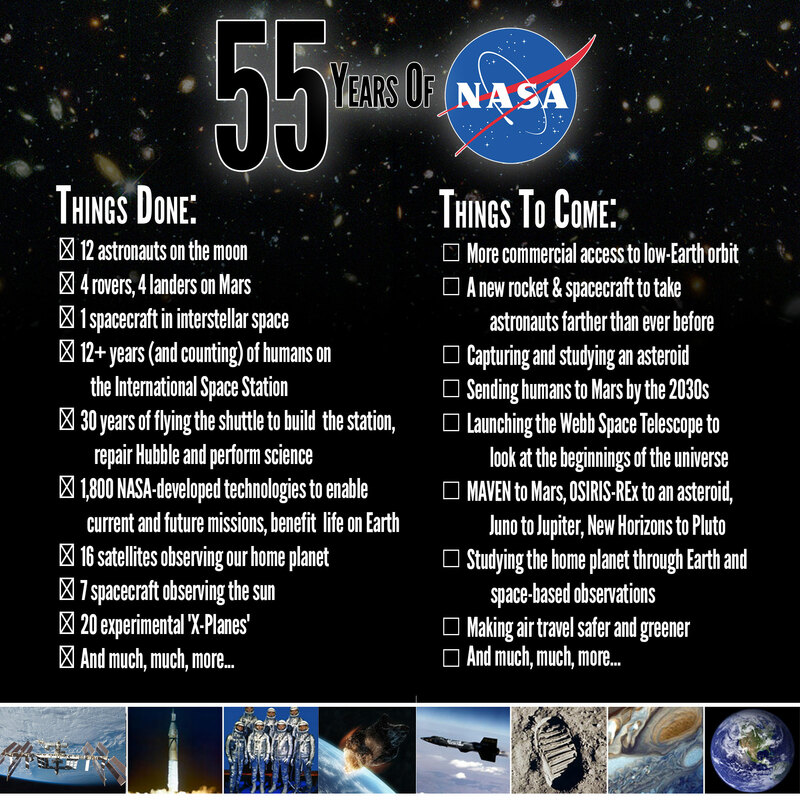 Tomorrow, October 1, is our nation's space agency's 55th birthday. To celebrate, NASA employees can, well, do whatever they want, just as long as they don't do their jobs. NASA, as President Obama put it in his afternoon remarks, will "shut down almost entirely" if a faction of congressional Republicans succeeds in preventing a clean continuing resolution to keep the government open from coming to the House floor for a vote. There are two major operations or classes of operations that would require ongoing support in accordance with the definitions of excepted activities identified above. First NASA currently is operating the ISS with a crew of 6 astronauts/cosmonauts, which has been in continuous operation since 1998. To protect the life of the crew as well as the assets themselves, we would continue to support planned operations of the ISS during any funding hiatus. Moreover, NASA will be closely monitoring the impact of an extended shutdown to determine if crew transportation or cargo resupply services are required to mitigate imminent threats to life and property on the ISS or other areas. Second, if a satellite mission is in the operations phase, we will maintain operations that are essential to ensure the safety of that satellite and the data received from it. However if a satellite mission has not yet been launched, work will generally cease on that project. To those 549 people, the 549 people who must keep our satellites up and running and keep our astronauts safe from harm, we salute you. Good luck in your lonely offices. [Update 3:15 pm 10/1/2013]: Jet Propulsion Laboratory spokesperson Jane Platt says in an emailed statement that since JPL employees are contractors, not direct employees of the federal government, rover operations will continue for the moment. JPL, which operates Curiosity and the sister rover Spirit, is a private contractor owned by the California Institute of Technology.